Maybe the name of a temporary love now haunts you permanently, or you are looking to get hired at a more conservative company that doesn’t allow any visible tattoos. Perhaps you got “tatted up” to represent an organization you’re no longer associated with. Or maybe, unfortunately for you, “No Regerts” is your biggest regret (it really is a shame tattoo guns don’t come with spell check! ), or you had a few to many down at the Jersey Shore and lost a bet… Whatever the reason, you’ve now decided that you no longer want to have that particular tattoo (or tattoos) and are ready to get it removed. Thankfully, the ink no longer needs to permanently remind you of a bad decision. 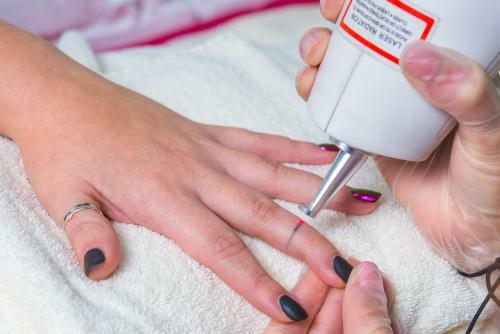 Once you’ve decided it’s time to get rid of the offensive ink, you have two options: you can either cover it up with even more ink, or you can have it permanently removed with laser tattoo removal. The problem with getting a cover-up tattoo is that it might end up leading to even more of the same regret, but this time with even more, darker ink. And unfortunately, in that case, returning a few months down the line to remove or do another cover up can be particularly time-consuming. Not to mention, tattoo cover-ups can be tricky, so unless your tattoo artist is specialized in fixing bad tattoos, you may end up stuck with a giant blob of really dark ink on your arm (or back, or leg, or wherever). Furthermore, covering a tattoo isn’t going to help you at all if you simply need a tattoo removed because of a situation where you can’t have any visible ink. 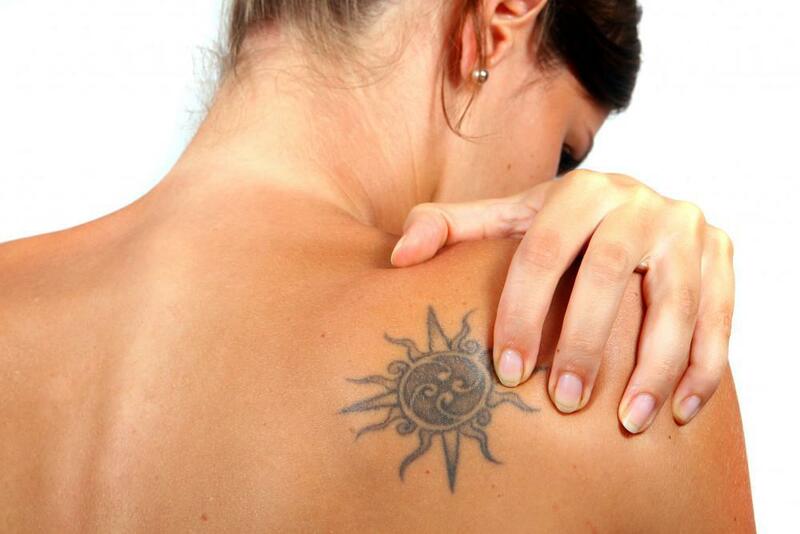 Now, if you really want to have a tattoo gone, laser removal is the best (and safest) option available. After only a handful of sessions with a laser specialist using a high quality specialized tattoo removal laser, in Atlantic County, Cape May County, Cumberland County and the surrounding area you will literally be able to have that unwanted ink vanish. Laser tattoo removal is a very real solution to your inky woes, but it can take some time for the design to completely disappear, so set up an appointment now so your tattoo can be gone soon. Also, if you really want to just have that tattoo changed, you can also have sections of the tattoo removed while leaving other areas intact, allowing for a new design, name, or whatever you would like to be added to the existing tattoo. You may have read about other tattoo removal processes online that make promises of being easy or fast. You should carefully research whatever process you are considering. Don’t put yourself at risk or waste your money by going with unproven, potentially dangerous procedures. Chose high quality laser tattoo removal for a proven erasure. When you’re ready to get that unwanted, ugly, offensive or ill-conceived tattoo out of your life, Shore Vascular & Vein Center in Somers Point, New Jersey will be glad to help achieve your laser tattoo removal goals. You likely have a lot of questions about the process and what it entails, including those about treatment sessions, expectations, associated costs, safety and more, and you can have them all answered by calling (609) 927-8346.